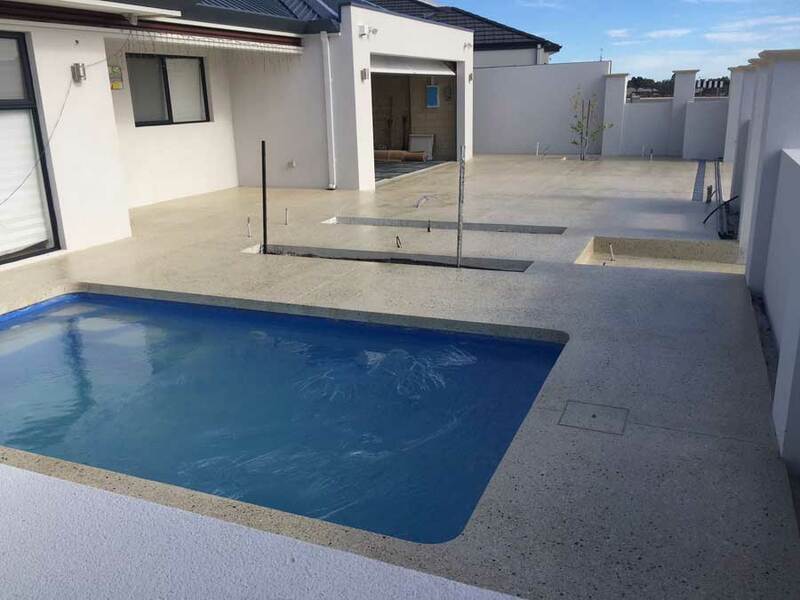 Are you currently thinking of building a concrete pool in your Perth home? Constructing a swimming pool in your backyard is an enjoyable project, however, an inground swimming pool should be able to complement your landscape rather than destroy it. It is therefore important that the installation of the concrete around the pool is done by a professional pool builder. 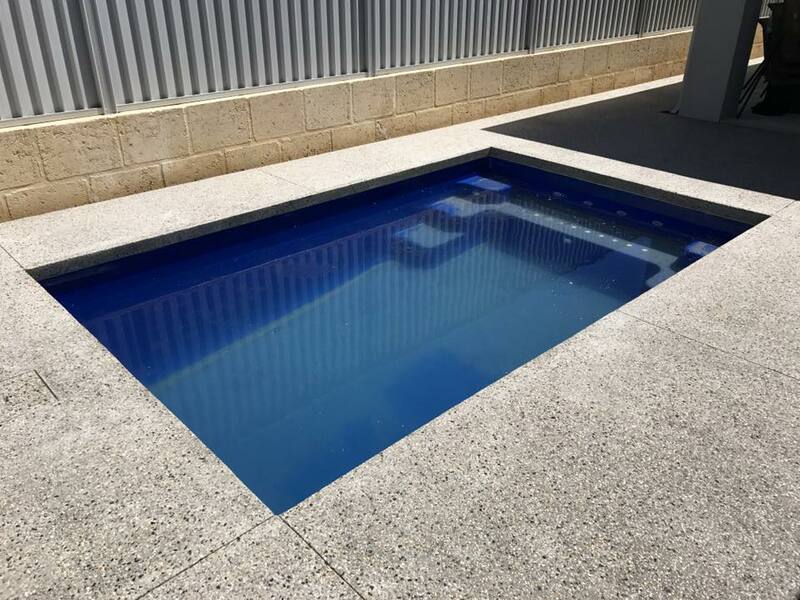 Why Choose Absolute Scapes For Concrete Pools in Perth? At Absolute Scapes, we strive to ensure that our pavers are well trained and highly skilled to deliver quality projects for our clients. The team and swimming pool contractors also undergo regular training to be at par with the latest designs and resurfacing techniques in the industry. With over 15 years of experience in the industry, we have gained enough knowledge to complete each of our client’s projects irrespective of their style or design. We have also received numerous positive feedback from our clients who’ve all been attested to the quality service we offer when it comes to gunite pools. It is our mission and dedication to always exceed our client’s expectations by offering the best residential pools service possible. Whenever you call Absolute Scapes for your pool finishing, you can be assured that your new pool surround will not only get the best finishing but also match the landscape architecture of your property. Don’t settle for shady work, ask for quality! At Absolute Scapes, we are all about quality, whether you need an extra water feature or pool lighting. Everything we do from our professional team to the suppliers we have; our key priority is ensuring quality work for our customers. This discipline has enabled us to maintain our customers, ensuring their satisfaction. At Absolute Scapes, we value your money, that’s why we have endeavoured to provide quality services. This has allowed us to maintain most of our customers over a long period of time providing the best concrete pools Perth has to offer. Our presence in the market has enabled us to perfect different styles and designs of gunite & concrete pools and therefore allowing us to deliver almost any design our clients require. Whether you want to concrete the area around your spa pool, commercial pool, in-ground pool, lap pool or plunge pool, we have just the right designs. We are known for our honed concrete, liquid limestone, decorative and polished concrete which are installed and handled by experts to ensure they complement the landscape of the environment. Swimming pools can be one aspect of your home or workplace that makes it unique. It is therefore important that the concrete around it suits the colour and nature of your environment, whether you’re looking for fibreglass or freeform. Don’t just let anyone handle your custom pool, contact us today, your concrete pools Perth team. Swimming pools come in handy during the hot weather. Are you searching for the best concrete pool service providers? Absolute Scapes has some of the most qualified swimming pool builders with many years of experience. We are committed to ensuring that you get the ultimate services depending on your budget and needs. The pool industry is fast becoming popular and clients are searching for the ideal pool company with a reputable record. We have been in the industry for more than a decade now, helping our clients with inground pools and to make your outdoor living space more enjoyable. Having interacted with numerous clients, we are conversant with what clients look for when it comes to pool building, pool maintenance, pool renovation, and swimming pool designs. Whether you need an above ground or inground pool, we shall work together to actualize your vision. We utilize tried and tested pool products for enhanced functionality and durability. Remember, the swimming pool is a delicate facility and you want to get value for money while avoiding any costly mistakes. This is why hiring a swimming pool contractor is ideal. They are qualified for the job and understand the right swimming pool construction practices to uphold for the ultimate final product. We use a wide variety of pool products in our swimming pool construction practices. Are you looking for pool repair experts? We are at your service 12 hours each weekday. If you are deliberating on constructing a concrete pool, we shall be glad to be part of your pool contractors list. Remember, you will need to take absolute care for your concrete pool more than you would if you utilize a different material to construct your pool. Pool designs also play a major role in the effectiveness of your swimming pool. We collaborate with an experienced and qualified team of customer service representatives. They will handle all your questions and concerns appropriately. They can also provide you with functional Pools and spas, and Pool equipment recommendations depending on your needs. Our swimming pool builder experts are well versed with the industry and will offer the best recommendations. While some experts believe that pools made of concrete foundations come with various challenges, we at Absolute Escapes will give you the ultimate pool design to guarantee durability. We can even construct large custom pools depending on your preferences. You don’t have to stick to the conventional pool designs, our experts will help you achieve a striking design that your friends and family will love. 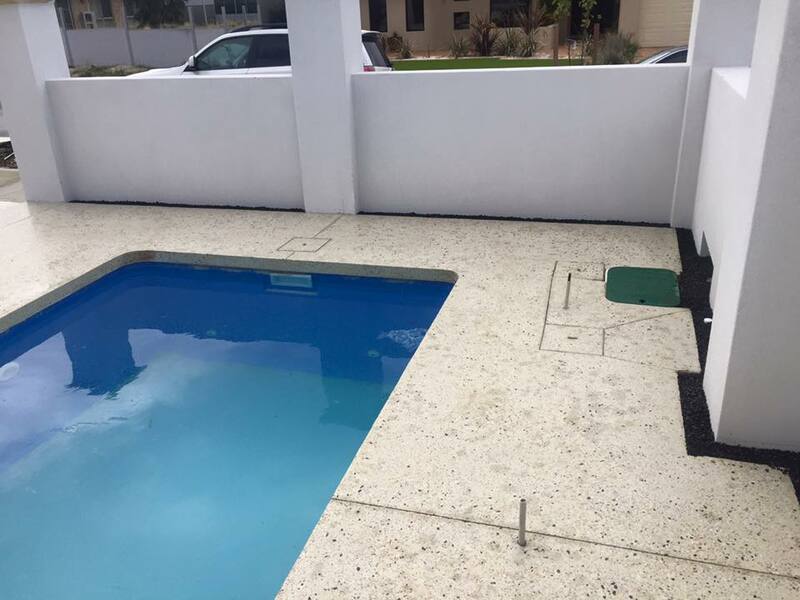 We are experts in the concrete pool service industry and can provide various services such as decking solutions, inground swimming pools, various water features for your swimming pool, pool safety equipment, and modern pool installation services. If you are looking for reputable pool contractors, then we are qualified enough to help you achieve the best swimming facility depending on your budget. There are various types of finishes we use in the swimming pool and through the concrete pool deck. This can include poured concrete, custom concrete, stamped concrete, reinforced concrete, and other concrete construction types. Pool shapes will vary depending on the design options you go for, a custom built pool designer can help ensure the tiling and pool paint meets the overall finish. Inground Swimming pools can enhance the aesthetic value of your home or your surroundings. We shall help you construct a unique structure to help you get value for your money. We use good quality products to promote durability. A concrete swimming pool requires the right team especially if you need a pool remodel or you’re looking to renovate.